Wed., Aug. 1, 2018, 12:40 p.m.
WASHINGTON – Senate Democrats intensified their fight Tuesday over documents related to Supreme Court nominee Brett Kavanaugh’s stint as staff secretary at the White House, pursuing a paper trail on his views of key issues that played out during the George W. Bush administration. 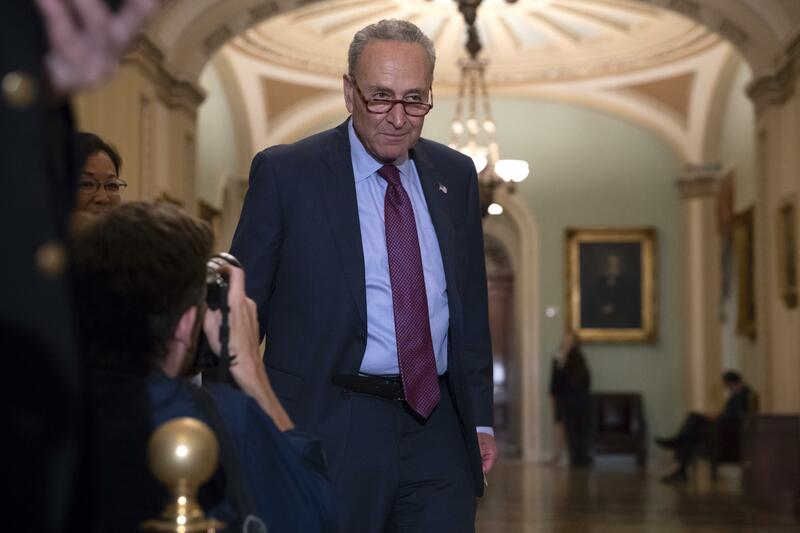 The top Democrat, Sen. Chuck Schumer, said he personally appealed to the archivist of the United States to release the documents after Senate Republicans declined to pursue them. Democrats say Kavanaugh’s record on the detention of terror suspects, abortion access and other issues are important to understanding his views. Republicans say the documents are unnecessary and are churning through 1 million pages from Kavanaugh’s previous administrative work, as well as his 12 years as an appellate court justice. Grassley said Schumer “had no business inserting himself” in committee business. He said the panel is conducting the most transparent nomination process ever. Republicans in the Senate, holding a slim majority, are eager to confirm Kavanaugh and deliver on another priority of President Donald Trump’s before the midterm election. Confirmation hearings could begin by the end of August. Democrats have few tools to halt the advance of the nominee. The 53-year-old judge would be Trump’s second pick for the court and could tilt the balance rightward on major issues like abortion access, gay marriage and executive power for a generation to come. The records from Kavanaugh’s three years as staff secretary have become the biggest political and procedural battleground. Democrats argue the judge’s views during those years are crucial in understanding his legal outlook, especially because he has characterized the job as among the most instructive of his career. Republicans argue that, with more than 300 cases as an appellate judge, as well as Kavanaugh’s previous work in the White House counsel’s office and on the Kenneth Starr team investigating President Bill Clinton, there is ample record already being produced. Grassley last week asked Bush’s presidential library for the paperwork without the documents from Kavanaugh’s staff secretary years. He said he could not reach an agreement with Feinstein over the scope of the documents request. Democrats cried foul, noting that the Bush team is reviewing the documents for sensitive material. Bush’s lawyer, Bill Burck, also has represented Trump administration officials in the Russia probe, including former White House strategist Steve Bannon and former chief of staff Reince Priebus. GOP Sen. Lisa Murkowski of Alaska said she has been “very impressed” by the documents being made available. Republicans downplay the importance of the staff secretary job, saying it’s mostly an inbox and outbox of papers passing the president’s desk, but Feinstein led all the Democrats on the committee in a letter urging the library to release all the documents. Published: Aug. 1, 2018, 12:40 p.m.